Our collection division, Matrec Inc., collects residual, putrescible and recyclable materials for municipal customers using our specialized fleet of collection vehicles. 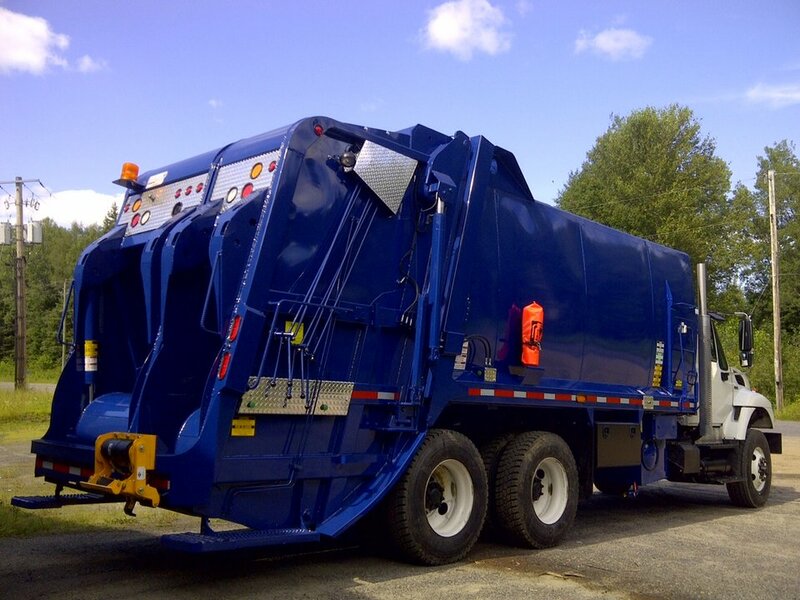 Our fleet includes split body trucks – that means we can collect 2 waste streams (i.e. waste & recycling or; waste & organics) in 1 vehicle! This makes it easier for residents to participate in diversion programs and also reduces the number of trucks on the road. Our inventory includes front-end bins and roll-off cntainers. We also have special bins for International Waste, tires, and e-waste. We specialize in providing businesses, contractors and homeowners with custom solutions for their waste needs. From bin selection, delivery, pick-up to disposal, we can handle any project – big or small. Our professional operators are here to serve you with top quality service. We have solutions for onetime renovation project or permanent services with scheduled pick-ups; you select the service frequency that suits your needs. We will make every effort to provide same-day service if required. For more information about our bin and container rental services, please click here. Using specialized trailers and containers, we can collect organics and leaf & yard waste and transport it to our state-of the art composting facility for processing. In partnership with our sister company – Services Matrec – we can collect, transport and process single-stream recyclables. Single-stream recycling is a lower cost alternative to the traditional dual-stream programs. In the single-stream recycling system, all recyclables, including plastic, cardboard, paper, glass, aluminium, etc., are placed in a single bin or cart for recycling. These recyclable materials are collected and taken to one of Services Matrec Material Recovery Facilities (MRFs) for processing. The materials are sorted into various commodity streams for sale to markets. Click here for a list of acceptable materials for recycling. We have partnered with the best in the industry to offer competitive pricing and cutting edge services. Our independent haulers have all of the required approvals to transport waste, soils, recycling and organics.